Mars will acquire Procter and Gamble’s pet food brands, Iams, Eukanuba and Natura, in Australia and New Zealand. These are the first details P&G has released on how its cull of up to 100 brands will affect the local market following the news breaking earlier this month. Mars Petcare said in a statement that incorporating the P&G brands into its business may take up to a year. The brands will join Mars Petcare brands Pedigree, Whiskas, Royal Canin, Banfield and Nutro. Mars announced in April that it would purchase these brands in North America, Latin America “and other select countries”. 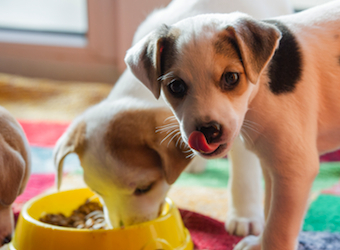 In this week’s announcement, the company said it would also acquire the pet food brands in “some parts of Asia Pacific, Middle East and Africa”, including Japan and Singapore. Mars said the move reinforced its strategic plan to build its presence in emerging markets. Mars Petcare is Mars Incorporated’s largest business, employing 35,000 people across 50 countries. P&G chairman AG Lafley broke the news to shareholders at the start of August that the company would condense its brand portfolio to 70 or 80 brands, culling up to 100. “We will become a much more focused, much more streamlined company of 70 to 80 brands, organised into about a dozen business units in the four focused industry sectors. “We will harvest, partner, discontinue or divest the balance 90 to 100 brands,” he said. 30 to 40 make between $100 million to $500 million, and have strong brand equity. Over the past three years, this 70 to 80 brand portfolio has accounted for 90% of company sales and more than 90% of company profit, Lafley said. The 90 to 100 brands to cull have created an aggregate of 3% decline per year over the past three years, with profits declining 16%. “This new streamlined P&G should continue to grow faster and more sustainably, and reliably create more value. this will be a much simpler, much less complex, company of leading brands that’s easier to manage and operate,” Lafley said. P&G’s Australia/New Zealand spokesperson Jennifer Woodward said the company was unable to share additional regional or local information.